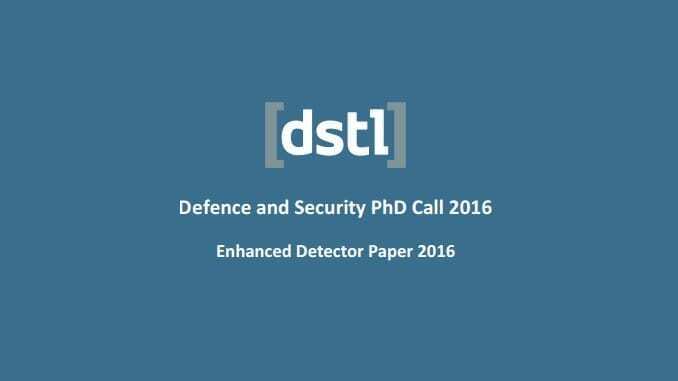 The UK’s Defence Science and Technology Laboratory (Dstl) this week announced intentions to fund a single PhD studentship to develop enhanced paper detectors for chemical warfare agents. Specifically sought are ‘paper-like’ systems that can visually disclose the presence of deposited liquid chemical warfare agents (CWAs) including G- and V-series nerve agents and sulfur mustard. Highly innovative approaches which are significantly different from existing technologies commercially available technologies are sought. Methods that rely on auxiliary IT equipment/optical readers or swabbing and subsequent down-stream laboratory analysis are excluded from this opportunity. Initial applications are due October 3, 2016. Those invited to submit full proposals will be notified by October 17, 2016.